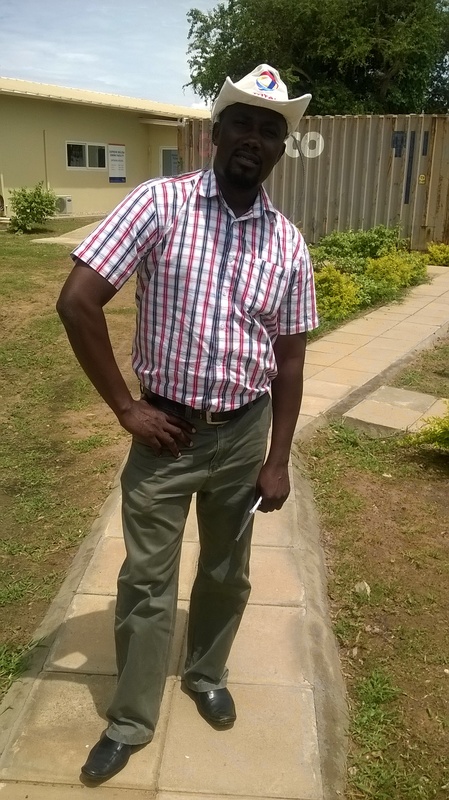 Buliisa District Local Government Production and Marketing sector is headed by the District Production Officer Mr Kaahwa Robert. The sector consists of other sections of service delivery whic include Veterinary Public Health services, which section is Headed by Dr Mubiru Rashid. Mr Ngongaha Phllip, District Fisheries Officer Buliisa. he OWC Operation Wealth Creation formely NAADS, currently headed by Maj Ben. Examining Symbol of Quality. 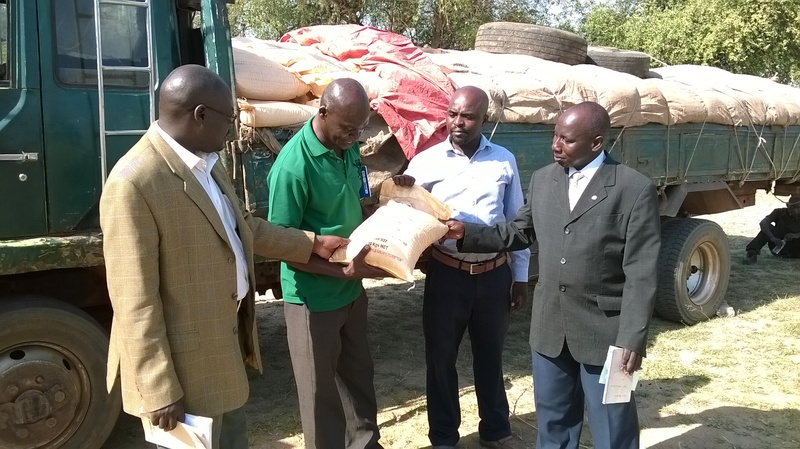 From Left to Right: CAO Buliisa Mr Oloya Stephen, OWC Boss Maj Ben, Audito Mr Mpagi and DPO Mr Kaahwa examine delivered Maize for quality at Buliisa Feb 2015. Yes, this is quality product. Officials of Buliisa District seem to communicate as seen from their appearance. Hon Tibasiima Gilbert, Secretary for Gender and Community Affairs BDLGC appreciating Maize seeds delivered under OWC for planting for 1st season March 2015. 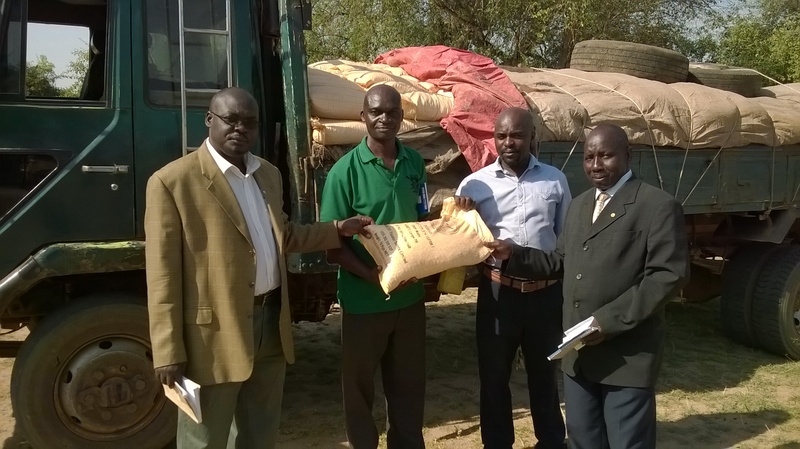 Over 2 Tones of Maize seeds were delivered to the District and benefited atleast 320 Farmers. The sector has of recent been more involved in Providing Farm Imputs delivered under the OWC Program. Farm imputs ranging from Maize seeds, Bean seeds, Citrus fruits nortably Oranges ad Mangoes have been distributed to farmers accross the District. Also 4 Boran Bulls for Beef production were dlivered to the District procured under the Production and Marketing Grant PMG.